Taken on Sunday April 21st 1963 at a somewhat wet Brighton coach rally this photo shows a Bedford VAL 14 with a Yeates Fiesta C52F body of Whippet Coaches from Hilton in Cambridgeshire Registration No 390 GEW. 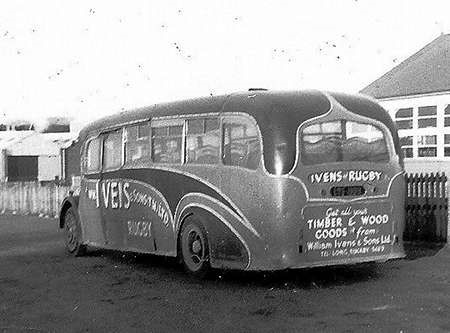 This was one of only eleven VAL’s bodied by Yeates at least six of which went to Barton Transport and were all fitted with dual doors with either 50 or 56 seats which would seem to make them D/P’s, that of course is open to question. Whatever your view the Yeates bodied Bedford VAL was a fairly unusual combination and was in my view an attractive vehicle which would have benefited from a more restrained paint job. This is a Fiesta body; the Barton ones were based on the earlier Europa styling. Possibly the siting of an exit door amid sloping window pillars may have been considered unsatisfactory. If Dave is correct about Yeates bodying only eleven VALs and seven are accounted for here, could we possibly have details of who had the others? Charles Rickards of Brentford had AYV 92B, a Yeates bodied VAL. 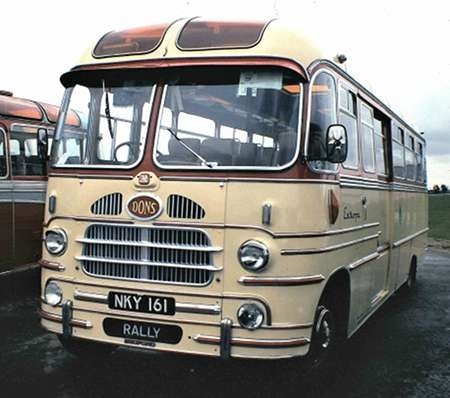 These were the only Bedford VAL with Yeates bodywork. This may be a trick of the camera, but the odd thing about this body seems to be the high ground clearance which gives it a rather primitive lorry-look: this and as Dave says the (typical?) Yeates paint job is bucking the trend towards smoother, unfussy lines eg the Harrington Bartons…. and by-the-by why Whippet?- in northern climes, it is a poor man’s Greyhound (delightful though they are, he adds hastily) and “Whippet Quick” is not a phrase you want attached to your business. I think it’s inherent in the design, it looks high. The Duple Vega Major looks low, sleek and right. To a lesser extent, so does the Plaxton Val. The other mainstream coach on the VAL, the Legionnaire, looked higher – as did the other minority body, the MCW Topas II. To not answer Joe’s question about the name “Whippet”, unfortunately the book issued to mark the operators 90th anniversary says that the “the origins of the name are obscure” so presumably the present owners never asked their grandfather where he got the name from. They also own a non trading company called Bloodhound Bus Lines! If Paul Carter, the author of the “Whippet” book, and of several other comprehensive East Anglian transport volumes, cannot positively elicit the origins of the name, then I doubt that anyone ever will. It has been suggested, however, that the name was adopted to give an indication of speed, and “Greyhound” had already been (over)used elsewhere to such an extent that the name was becoming rather a cliché, hence “Whippet”. Originally, it was “The Whippet”, but in more recent times, presumably inspired(!) by the Go Northern, Go Ahead, Go Whittle etc Academy For The Misuse Of The English Language, it has traded as “Go Whippet”. As one living locally to this operator, I continue to be bemused by its radical changes of livery every few years. The only constant factor is the inclusion of blue in some form. Latterly this has become a rather unexciting shade that covers almost the entire vehicle, but individual buses have differing applications of the relief colour – this is just a simple yellow stripe on the latest acquisitions. All the Busway vehicles, Whippet and Stagecoach, wear the same livery, which is rather confusing to the public as the tickets of the two operators are emphatically not inter-available. The County Council did attempt to introduce a common ticket along the Busway, but this fell foul of rejection through inter operator rivalry, and has been abandoned. Another characteristic of the company is the policy of allocating individual buses to individual drivers – each driver keeps the bus for the entire working day. This may be a sound policy for coach work, but it mitigates against efficient bus utilisation. 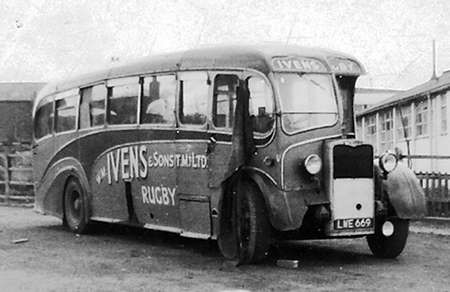 At certain times of the day, the bus stations at St Ives and Huntingdon are full of Whippet buses on layover. Whippet has been sold to Tower Transit – an Australian company. Back in 1952, Mr Lee was in talks with Eastern National about selling the business however nothing came of it. According to the EN records Mr Lee wished to retire but did not think his sons were capable of running it. Even before that, in May 1947, and again in early 1951, Mr Henry Lee entered into talks with Mr Arthur Lainson with a view to selling out to Premier Travel. 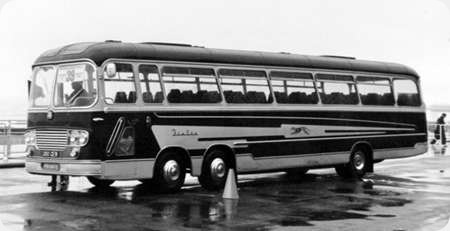 Now, nearly 27 years since the demise of the Lainson era Premier Travel, Whippet is still around, though I foresee some significant changes on the horizon once a financially hard nosed new owner takes charge. I think a sell off by Whippet has been on the cards for some time, Stagecoach would probably have bought them if it was not for the monopolies commission. At least it should now put Whippet in a stronger position in the Cambridgeshire bus scene & provide some competition to Stagecoach. On a lighter note, I wonder if they will replace the Whippet with a Kangaroo!! A year or so on & Tower Transit have not made significant changes to Whippet, they are still only operating around the same amount of services, many tendered rural route supported by Cambridgeshire County Council. No new buses have been acquired although some ex London ones have cascaded down but these are ‘old’ vehicles including some short Dennis Darts on 03 plates. But they also have three 12 plate ADL Enviro 200’s branded ‘Puppy’s for use on rural routes. As at present they are no threat to Stagecoach. They have though produced a useful fold up timetable covering all bus routes. I like John’s comments about Whippet and the name for the ADL Enviro 200. Among my traffic duties with Southampton City Council was visiting applicants for disabled parking bays. On one occasion, I was ushered in and I saw the back end of a dog disappearing through a doorway. A few minutes later, one of the household asked, “Where’s Tyson?” “He’s in the back garden,” was the reply. Now, Tyson, in the canine context, projects an image of some of the more vicious breeds. Eventually, Tyson condescended to return indoors. I saw a whippet. Clearly, the owner had a good sense of humour! Whippet have recently terminated a number of subsidised routes around Huntingdon and St ives which have now been taken by Stagecoach Busway and Dews.